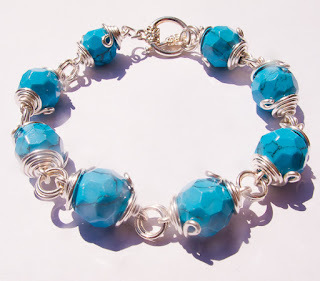 Beautiful azure blue Turquoise faceted bracelet hand-wrapped in silver plated jewelry wire and finished with butterfly toggle clasp. This bracelet looks absolutely gorgeous on tanned skin! And I have a little surprise for you: with purchase of this bracelet you'll receive a gift - FREE matching earrings to complete your outfit! Bracelet length is 8 inches - comfortable or slightly loose fit, depending on your wrist size. Turquoise Faceted Bracelet "Azure Sky" is only $42 + $7 for shipping and handling. And don't forget that you'll receive FREE matching earrings! Turquoise hardness on the Mohs scale is 5-6 (diamond being the hardest one 10). So, be gentle with Turquoise. Turquoise is generally stable to light, but high heat can cause discoloration and surface damage. It dissolves slowly in hydrochloric acid, and it can be discolored by chemicals, cosmetics, and even skin oils or perspiration. It’s safe to clean turquoise jewelry with warm, soapy water, but it should never be cleaned with steam or ultrasonic cleaners. 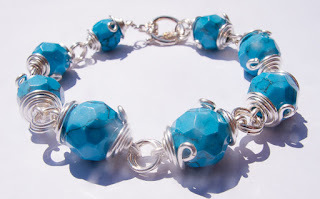 Some turquoise is treated to improve its surface appearance. Heat or solvents can damage the treated surfaces. Native Americans consider the Turquoise to be a sacred and powerful stone. In the past, Turquoise was often carved onto shapes of animals and birds and placed into tombs as offering, to attract positive spirits and to keep their dead safeguarded from evil. Additionally, warriors would tip their bows and arrows with Turquoise to ensure an accurate shot during battle or hunting. The ancient Mayans would also use it to decorate artwork for their temples, forbidding people to wear it as it was reserved as a stone of their gods. In the Middle East Turquoise was used to create religious relics. 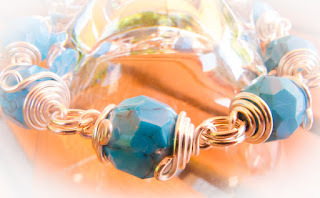 Turquoise provides solace for the spirit and well-being for the body. It is protective stone. It dispels negative energy and calms anger and anxiety. 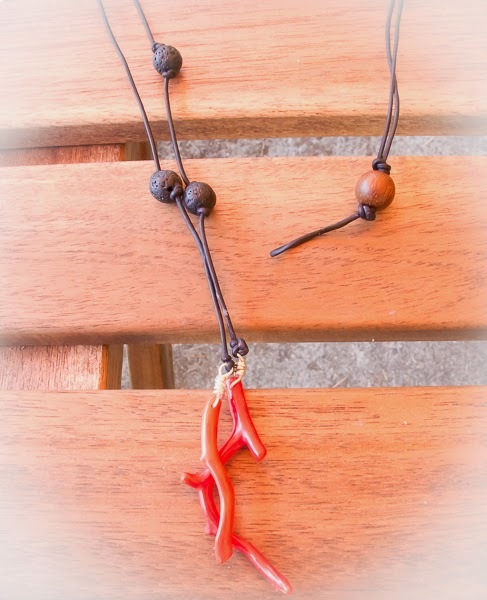 It unites the earth and the sky, bringing together male and female energies. It promotes self-realization and calms the nerves when speaking in public. It is a strengthening stone. Turquoise dissolves a martyred attitude or self-sabotage. exelent stone for exhaustion, depression, or panic attacks. 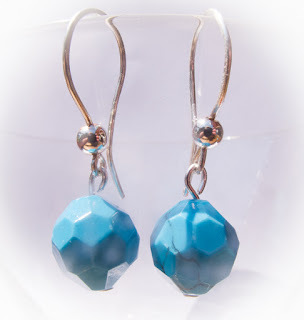 10mm faceted Turquoise earrings on silver plated French hooks. Value $23, but you get it for FREE! They measure 2,5" from the top of the silver earwires. Your bracelet and matching Turquoise earrings will arrive to you in pretty gift-ready package. 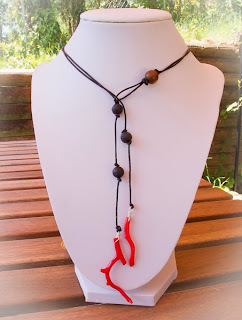 Organic looking leather lariat necklace made with natural Hawaiian lava and dyed coral. 100% handmade. Fold the necklace in half, with the two necklace strands draping parallel to each other. 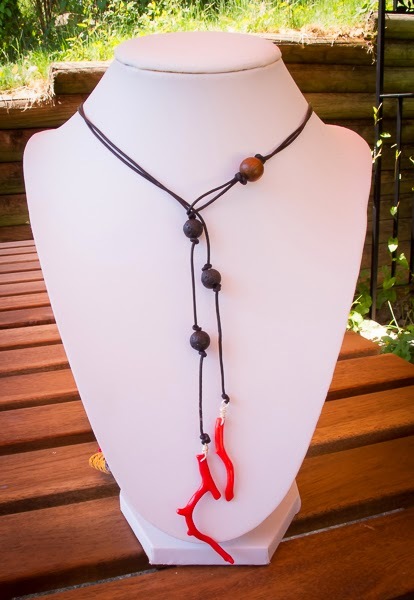 Wrap the folded necklace around your neck. The ends of the necklace should face front, as should the loop on the opposite end. 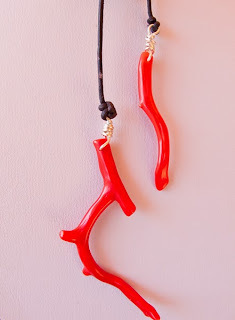 Pick up the ends of the necklace and feed them through loop to fasten the necklace. Lava contains powers of Fire and Earth. It is a stone of strength and courage, it allows one the opportunity for stability throughout changes in their life. 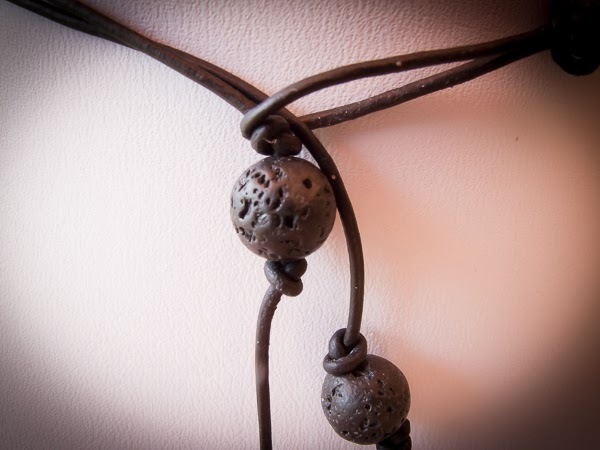 If you are going through a lot of shifts in your life then basalt would be a helpful stone for you. It helps to diminish the negative aspects of one’s character and allow us one to see where modification of your character can be helpful. Since basalt (lava rock) was once molten lava, it has the power of fire within. One drawn to basalt may need some fire her energy into their life.